When you just gotta have something to read or share we got you covered! Check out our carefully crafted publications below to get you informed and inspired to spread conservation today. Get news, updates, and workshops delivered right to your email box! Check us out every other Sunday in the Sandusky Register’s Agribusiness section or just read several of our last previous articles here. Our topics cover general conservation practices, how our environment works for us but needs our help, and whats happening around the county. Want to know what our Volunteer Stream Monitors having been learning about our local streams? 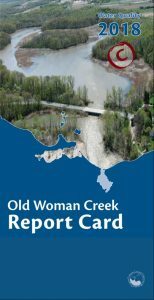 Check out our latest and previous watershed report card for Old Woman Creek, Pipe Creek, and Mills Creek. Click here to learn more about how report cards are developed. 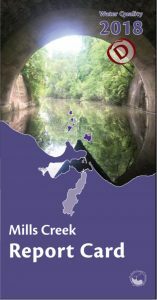 In 2009, the Old Woman Creek Watershed Action Plan (WAP) was endorsed by the State of Ohio to serve as a guidance document for reducing nutrient and sediment pollutants in the stream and report. The WAP identifies target areas for conservation including lists of strategies and background information suitable for grant proposals or individual stewardship opportunities. 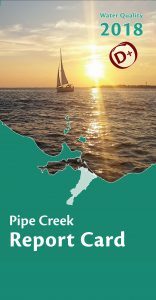 Implementation of this plan has already resulted in the installation of over 3,000 ft of conservation ditch enhancement, septic system improvements, cover crops, and a manure storage facility. As part of the Ohio EPA Phase II program, which is a regulated program for helping to reduce stormwater pollution in our urbanized areas, the District is working with several communities to develop a management plan. It is currently in progress and I hope you will check back as we hope to be posting a draft soon. Learn more about the Ohio EPA Phase II program here. Ok, you think our website is pretty cool and you want to know all about us right? Well check out our previous newsletters and our most recent progress report. We might be small but stay pretty busy!